Mr Trulku Phurbu Tsering, a 60-year old Buddhist monk and prominent Tibetan political prisoner, has been released on 17 April after serving eight years in prison. He had been arrested because of his links to a peaceful demonstration and accused of possessing weapons. However, his lawyers said that serious violations of Chinese law had been committed, as no evidence of this crime was found. Mr Tsering has most probably been tortured in prison and his health conditions are unclear. Photo courtesy of The Tibet Post. Trulku Phurbu Tsering, a senior Buddhist figure from has been released after eight years in prison. The 60-year old Buddhist monk was one of the most high-profile Tibetan political prisoners in Tibet. The Buddhist leader was released from Mianyang Prison in Sichuan on Sunday morning, April 17, 2016, TPI sources said, adding that after his release, he was escorted to his home in Dhartsedo in Karze county of Kham Province in eastern Tibet. The sources said that he has since travelled to Chengdu, the capital of Sichuan Province after being released from prison. However, his current state of health remains unknown. An eyewitness who says he saw him, whose religious name is Lobsang Tenzin Yeshe Trinley by chance early this month (August 2014) while visiting another prisoner at Mianyang Prison, located about two hours from Chengdu city. "At first I couldn't recognize him as he had become so weak, almost emaciated," said the TPI source. "It looks like he is not being treated well in prison." The report also said that local Tibetans have expressed deep concern and anxiety over Rinpoche's deteriorating health, which they believe is caused by the severe condition he is subjected to in prison. He was arrested in May 2008 following a peaceful protest by nuns from the Pangrina nunnery in Kardze, eastern Tibet, against a political re-education campaign that authorities enforced on the nunnery. The Tibetan leader came under Chinese police surveillance, in May 2008, when he was suspected of having links with a peaceful protest march conducted by more than 80 nuns of Pangrina Nunnery on May 14, 2008 in Su-ngo Township in Karze County. The protest was broken up by more than 2000 Chinese security forces and several of the nuns were arbitrarily arrested. As abbot of the nunnery, he was ordered by authorities to sign a document provided by authorities criticising His Holiness the Dalai Lama. Rinpoche was arrested after he refused to sign it. Information about Rinpoche only became available on 23 December 23, 2009, when an Intermediate People's Court at Dartsedo (Ch: Kangding) County sentenced him to eight years and six months for possession of weapons. However, Li Fangping and Jiang Tianyong, two prominent Chinese civil rights lawyers who defended Rinpoche had said that serious violations of Chinese law occurred during his case and that the charges against him "lack factual clarity and sufficient evidence". Li Fangping told the Associated Press that Rinpoche was framed. 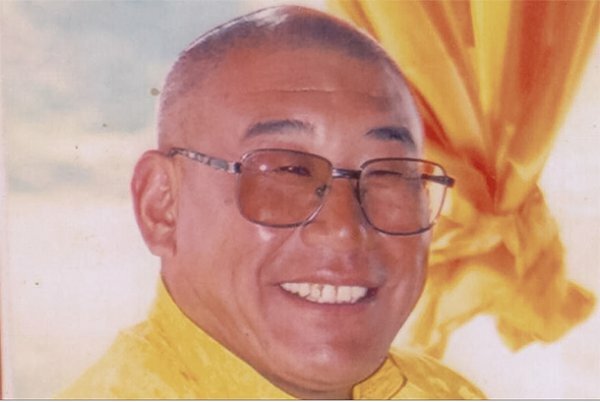 During his disappearance, Rinpoche was reportedly tortured for four days and nights and forced into making a confession during interrogation. Police even threatened his wife and son of detention if he did not comply. Trultu Phurbu Tsering was born on 2 January 1957 to Tsewang Dargye and Yangchen Lhamo at Chigring Village of Serkhar Township in Karze County, the area known to Tibetans as Kham Tehor (Chinese: Ganzi, Tibetan Autonomous Prefecture, Sichuan Province). He is the patron of Pangrina and Yatseg nunneries, which house 100 and 60 nuns respectively. He was also engaged in charity works such as building old people's homes and hospitals for local Tibetan population in the area. His unwavering faith in His Holiness the Dalai Lama coupled with his charity work earned him much appreciation and praise from the local Tibetan community.